Three out of four road deaths happen on country roads, with the most common cause of fatalities being loss of control and driving too fast for the road conditions. A new information campaign has been launched to raise awareness of the high number of avoidable and serious road accidents, many of which take place during the "Country Roads Rush Hour" of between 3pm and 6pm. The Stay Safe on the Road leaflet highlights some of the hazards which can cause accidents on the road, including driving too fast for the road conditions, while distracted or too close to the car in front. 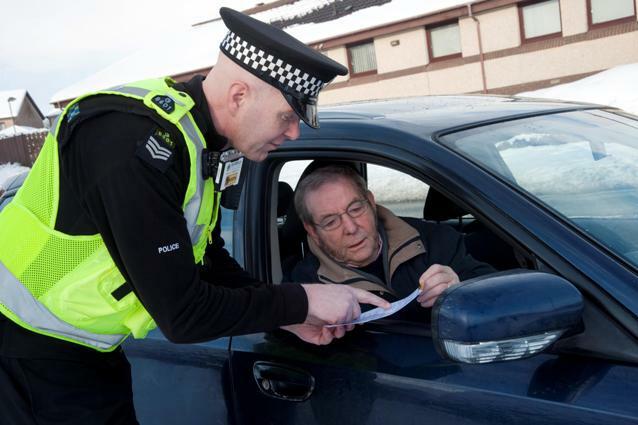 Hundreds of leaflets will be handed out across the Grampian area over the coming months, while the weather is likely to be at its worst and motorists need to take extra care on the roads. "We are encouraging motorists to take responsibility when they get behind the wheel and think about whether they are driving at an appropriate standard to keep themselves, and other road users, safe. "I hope that by working in partnership with Grampian Police we can make an impact and encourage drivers to think about their behaviour on the roads." "Following a number of tragic road traffic collisions, particularly in and around the Huntly area, we are pleased to collaborate with the Garioch and North Marr Community Safety Group to produce this leaflet. "We will take the opportunity to stop and educate motorists, particularly during time of most significant risk, at the "Country Roads Rush Hour", in an effort to reduce the likelihood of such collisions. This leaflet is a useful reminder to drivers of the risks involved." Sergeant Neil Binning shows the Stay Safe on the Road leaflet to Councillor Ron McKail, Chairman of the Garioch and North Marr Community Safety Group.